…Prefab Sprout gives us the pop supreme. You all know the story. The pop group with the songs all the musicians love. The literate lyrics, the knowledge of pop history and esoterica, the songcraft of geniuses, the musicianship of masters all put together. Prefab Sprout has been hailed by critics as such a group all through their long career. From the beginning in 1982 the band has forged their own path through an ever changing musical landscape with the vision of leading man Paddy McAloon as their guiding light. Always more of critic favourites than commercial ones, the band has given rise to more appreciative text than actual chart success. Intelligent pop music is not by itself an argument for sales, not that this matters that much when we´re talking about pop music as an art form. For me personally, the first albums went by pretty much unacknowledged. The only one I own on vinyl is “From Langley Park to Memphis”, with hit songs like “Cars and girls”. Music a little bit too smart for it´s own good was sometimes said of the band back in their most active days. However, an uncompromising philosophy kept their legacy alive through a number of wilderness years, effectively closed by their most recent release, “Crimson/Red”. 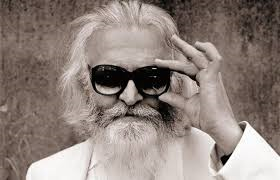 After a period of ill health; Menieres disease, bilateral cataract surgery and retinal detachment, Paddy McAloon strikes back in the way only he can with songs of unsurpassed quality and complexity. Melodies and musicianship of the highest degree and lyrics and singing to die for. Everything on the album is played and sung by himself which is by itself nothing less than extraordinary. Many of the songs has been decades in the making but still sound as contemporary as anything. Starter “The best jewel thief in the world” shimmers like a diamond under sharp lights, with it´s harmonica juxtaposed with police sirens, dealing with the perceived impossibility of originality in view of more than a hundred years of songwriting. “List of impossible things” combines poetic sensibility with wonderful guitar playing and is in so many ways a rare treat. “Adolescence” chronicles an upbringing through a lens tinted with Shakespeare, complete with emotional singing and a sparse but beautiful guitar solo. “Grief built the Taj Mahal” offers subdued drama to the tune of elegant chord changes and Paddy´s soulful voice. Uptempo “Devil came a calling” flows evenly both melodically and lyrically and gives the record a valuable sense of lightness and spring in its step, as does the following song “Billy”. “The dreamer” returns to the realm of beautiful melodies, led on by piano playing of unsurpassed elegance. The melodic rush is continued with “The songs of Danny Galway”, followed by the storytelling of “The old magician”. Being about Bob Dylan or not, it´s still a feat unreachable by most bands and deserves a listen for its own sake. Closer “Mysterious” leaves us with the calmness of having finished a journey, feeling the peace of being at home. Melodies are indeed eternal, and the singing on this album is without a doubt the work of genius. This is pop music in its most pleasing and artistic form. Each and every song here is essential to the experience. Even the sceptics will abandon their arguments faced with the beauty of this music. Here we have a collection of songs that sparkle like a clear autumn day. These are the moments that you long for as an afficionado of pop culture. The way ahead for the music that you long for and dream about. These songs are the musical equivalent of sitting in front of a log fire with a cup of hot chocolate with whipped cream after a long hike through a cold autumnal landscape. Sublime. This entry was posted in Music and tagged Crimson/Red, Paddy McAloon, Prefab Sprout on February 23, 2014 by danolofohman.